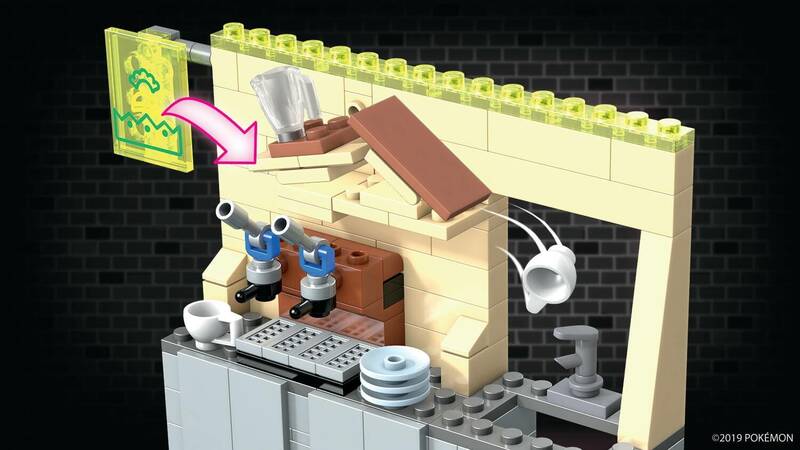 Take a break from detective work and head to the buildable Hi-Hat Café! 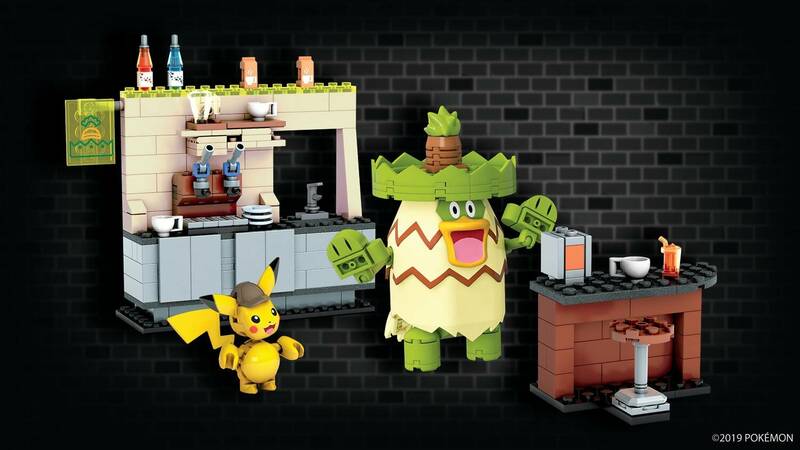 Build Ryme City’s most popular location from the Pokémon Detective Pikachu movie. The Hi-Hat Café is known for Ludicolo serving up smiles twenty-four hours a day! 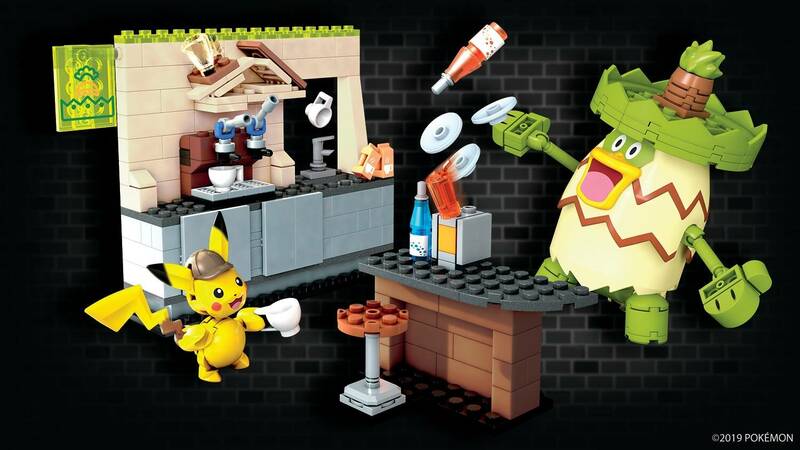 Help Detective Pikachu pour over case notes as Ludicolo pours drinks at the coffee station – but be careful not to spill any secrets, or dishes! 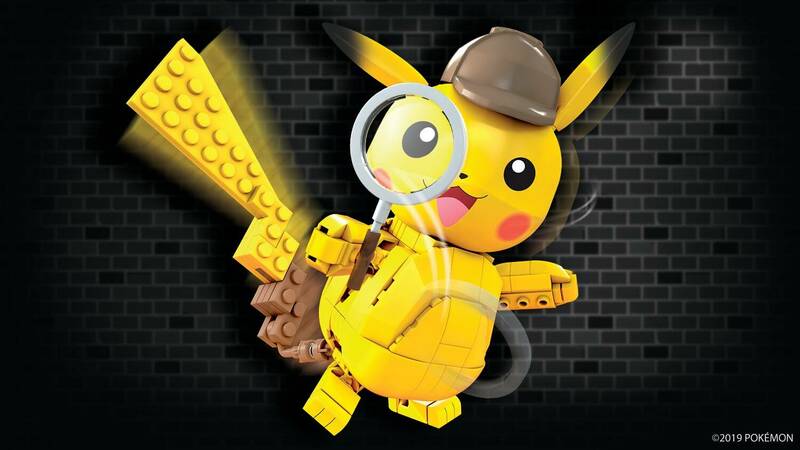 Build this 325-piece set and add it to your Mega Construx Pokémon Detective Pikachu movie collection for the ultimate display. Buildable coffee station and backsplash, counter, dishes, stool, decor and more! 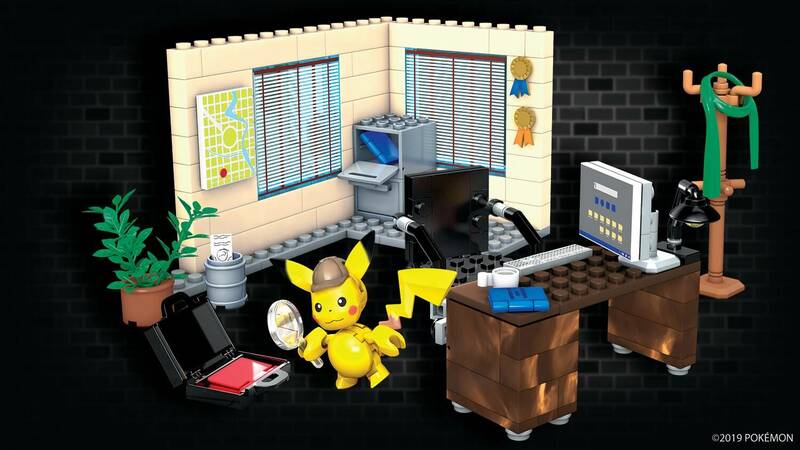 Look for other Pokémon Detective Pikachu sets from Mega Construx™ for the ultimate display! Movie: © 2019 Legendary and Warner Bros. Entertainment Inc. Pokémon Property: ©2019 Pokémon. 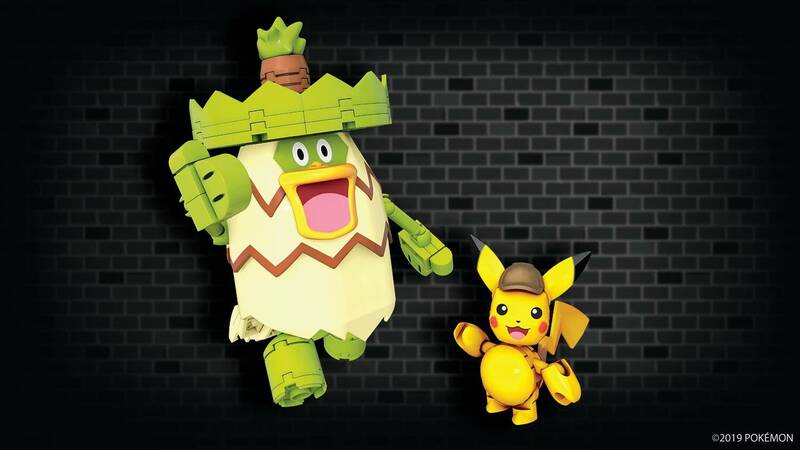 ©1995–2019 Nintendo / Creatures Inc. / GAME FREAK inc. TM, ® Nintendo.